We’d love your help. 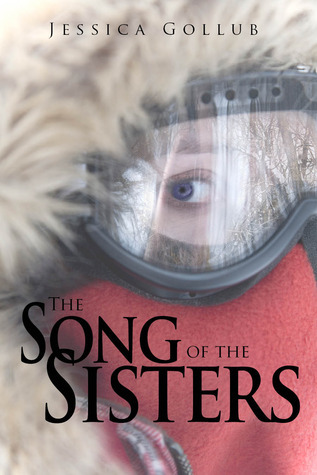 Let us know what’s wrong with this preview of The Song of the Sisters by Jessica Gollub. To ask other readers questions about The Song of the Sisters, please sign up. What can I say? Jessica Gollub once again took me on a journey that had me turning page after page. I couldn't put it down and when I reached the end I sat there for awhile just thinking about the story. The characters had me feeling a myriad of emotions from laughter to tears. Rhea and Jude made great protagonists that I found myself completely attached to very quickly, even more so than the protagonists from book 1. For a few hours I was immersed in a completely different world. When I read boo What can I say? Jessica Gollub once again took me on a journey that had me turning page after page. I couldn't put it down and when I reached the end I sat there for awhile just thinking about the story. The characters had me feeling a myriad of emotions from laughter to tears. Rhea and Jude made great protagonists that I found myself completely attached to very quickly, even more so than the protagonists from book 1. For a few hours I was immersed in a completely different world. When I read book 1, Mark of the Hummingbird I was instantly a Jessica Gollub fan. Book 2 has only made me an even bigger fan. It's been a long time since I've had a book hangover but The Song of the SIsters definitely left me with one that I'm still nursing. All I can think about is this book and what's going to come next! After reading The Mark of the Hummingbird, I immediately needed a sequel. Jessica Gollub has done it again; I cannot wait for the next book! This book was nothing like I expected it to be, and it turned out amazing! Keep up the awesome work, Jessica. Loved the first 70- 75%, then the focus of the story (Rhea) shifted to something else entirely, and I completely lost interest.